Shawn has had the opportunity to serve as a police officer for over twenty-four years. He is a violent crimes detective for the Round Rock Police Department where he has worked for the past nineteen years primarily conducting robbery investigations. Since 2009, Shawn has been a task force officer assigned to the FBI Central Texas Violent Crimes Task Force within the Austin Resident Agency. He is the bank robbery coordinator for the San Antonio Division of the FBI. Shawn is regarded as a subject matter expert in financial institution robbery preparedness and prevention. 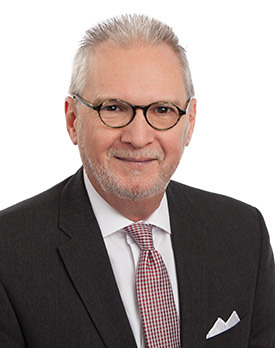 He is a frequent presenter for the Texas Banker’s Association and has conducted hundreds of robbery training sessions with financial institutions across the State of Texas. Shawn has also been a guest presenter for the Georgia Banker’s Association, Wisconsin Banker’s Association and the Cornerstone Credit Union League. Shawn earned his bachelor’s degree from LeTourneau University and is pursuing his master’s degree through Sam Houston State University. He is a member of the Sheriff’s Association of Texas Cold Case Review Team. 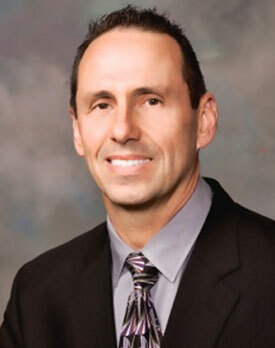 Shawn is the Executive Director of Robbery Investigators of Texas establishing the association in 2012. Eddie retired as a Sergeant with 26 years of service to the Wichita Falls Police Department. He worked in the Patrol Section, Accident Investigation, S.W.A.T. / Tactical Unit, Gang Unit and Training Unit. As a Sergeant, he supervised the Special Operations Section, Training Section and Professional Standards Section. 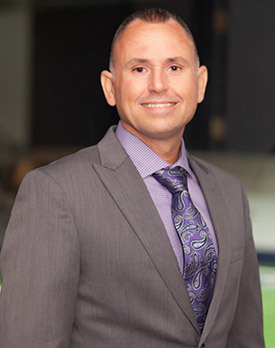 For the past 10 years, Eddie has served as security director for a large association and is currently working for GlobauxSource, a meetings management company. Eddie serves as Vice President for Robbery Investigators of Texas. Matt retired as a lieutenant in the Texas Rangers with twenty-eight years of service. He began his law enforcement career in 1985 as a Williamson County, Texas Deputy Sheriff. In 1990, Matt graduated from the Texas Department of Public Safety Academy as a State Trooper. In 1997, he was promoted to Texas Ranger. In 2014, Matt promoted to lieutenant within the Texas Rangers. Prior to retirement, Matt was stationed in Austin where he supervised ten Rangers who covered fourteen counties in Central Texas. 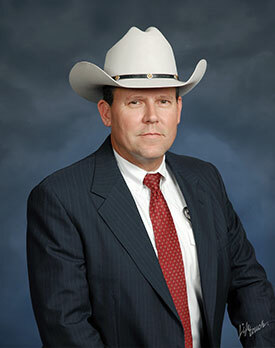 Matt is a founding member of Robbery Investigators of Texas and serves as Secretary. Assistant Chief Yates began his career with the Tyler Police Department in April, 1999, attending the first Tyler Junior College Police Academy. During his years of service with the department, he has had the opportunity to work within the Patrol and Investigation divisions of the department. Prior to promoting, he worked as a Patrol Officer, Bicycle Officer, SWAT Officer, Field Training Officer, and a TCOLE Instructor. He promoted to the rank of Sergeant in May 2008. As a Sergeant, Yates has performed assignments in the Patrol, K9, Gang, and the Crimes Against Persons Unit. He also served as the Assistant Field Training Coordinator. He promoted to Lieutenant in February 2014, and was assigned to the patrol division as a shift commander. In 2016, he was assigned to the Criminal Investigation Division where he supervised 6 sergeants, 23 detectives, 15 officers, and 3 civilians. Assistant Chief Yates has received numerous awards and commendations, including meritorious conduct, lifesaving award, certificate of achievement and certificate of merit. In 2001, he was also recognized as Rookie of the Year and Supervisor of the Year in 2012. He is a member of the Tyler Patrolman Association and Texas Municipal Police Officers Association. He serves as board member for the Adult Protective Services and the Robbery Investigators of Texas and has served as a board member for the Tyler Patrolman Association. 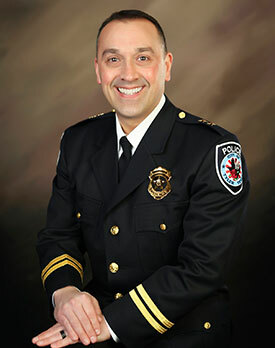 Assistant Chief Yates received his Associates Degree from Tyler Junior College and a Bachelor of Applied Arts and Sciences Degree from Midwestern State University, where he graduated with honors. He graduated from the Texas Police Chiefs Developing Leaders Course. Assistant Chief Yates is a graduate of the Law Enforcement Management Institute of Texas / Leadership Command College and the Federal Bureau of Investigation (F.B.I.) National Academy, Session 268. 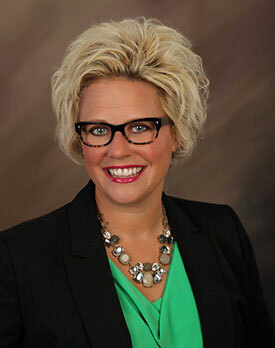 Cindy began her career in 1997 with First USA Bank in Austin, Texas. Moving back home to East Texas in 1999 to continue her banking career with Southside Bank. Cindy has spent over twenty years in the card issuing and merchant services arena. With a passion for community and volunteering, Cindy has spent numerous hours volunteering for Country for Our Country, The Boys & Girls Club, The United Way of Smith County, and Robbery Investigators Of Texas. In addition to work and volunteering my true joy comes from being a mom to Evan. 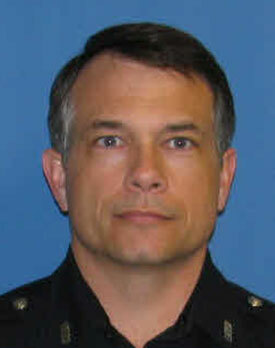 Detective Brian Raynsford joined the Fort Worth Police Department in 1990. He has worked Patrol, Gang Enforcement, Property Crimes task force and Academy instructor assignments. Detective Raynsford has been a court recognized expert in white supremacist prison gangs. Promoted to Detective in 2007; he has been assigned to the Criminal Investigations Division, Violent Personal Crimes Section-Robbery Unit since 2009. 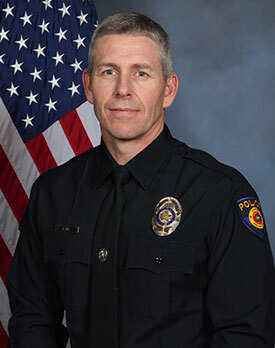 Detective Raynsford holds Master Peace Officer and Instructor certifications in the State of Texas and has an Associate’s degree from Tarrant County College as well as a Bachelor’s Degree from Dallas Baptist University. Detective Raynsford was awarded RIOT Investigator of the Year in 2015. 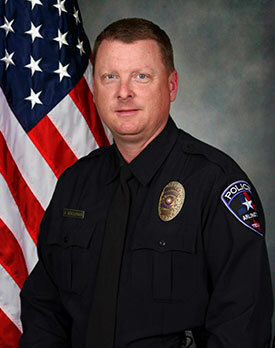 Jeff Hill has been with the Round Rock Police Department since 1999. Jeff has served as a Patrol Officer, Field Training Officer, Gang Unit Officer, Special Investigative Officer, Property Crimes Detective, and Crimes Against Persons Detective. Jeff has been the Training Coordinator for RIOT since 2016 and on the Board of Directors since 2017. Detective Jeff Holloway began his law enforcement career with the Arlington Police Department in October 2001. During his career, he has worked Patrol, School Resource, and has worked as a Detective in the Robbery/Gang Investigative Unit since 2014. Jeff holds a Master Peace Officer and TCOLE Instructor certifications and a Bachelor’s degree from the University of Oklahoma. Jeff teaches report writing to new recruits at the Arlington Police Academy as well as assists in scenario-based training. Donny has over thirty-five years’ experience in the financial services industry. Donny currently serves as the Executive Vice President of Member Relations for the Texas Bankers Association (TBA) in Austin, Texas. During his tenure, Donny has boosted membership by over 100 banks thus far and manages the largest and most profitable education department in the nation producing annual revenues of 3.7 million. Donny also manages the production of the award winning Texas Bankers magazine. In addition, Donny is active with regard to advocacy and lobbying efforts in Washington D.C. and Austin, Texas. Donny attended Texas Tech University School of Banking and Texas A&M University at Commerce, TX. Donny and his wife Patty reside in Georgetown, Texas. They’re proud parents of two sons and a daughter.